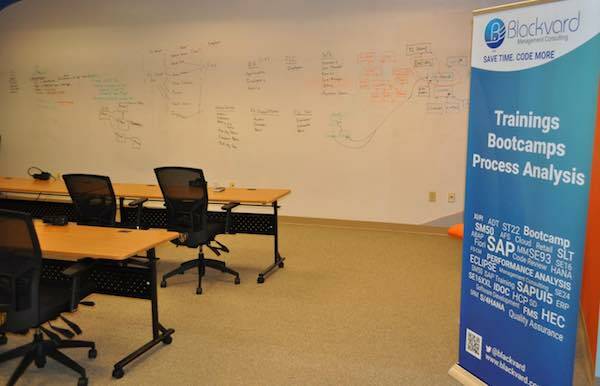 Developers in the North East USA joined Blackvard Management Consulting’s FREE 2-Day SAP CodeJam event on October 18th & 19th, 2016, 10:00AM – 5:00PM. 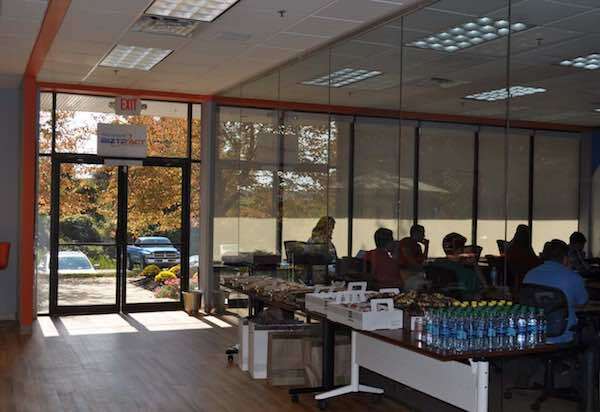 This intimate and informative coding workshop, held in Malvern Pennsylvania, was a combined event with SAP and covered material on SAP ABAP for Eclipse (Day 1) and SAP ABAP for HANA (Day 2). This CodeJam was designed specifically to allow developers to extend, update, and strengthen their SAP ABAP for Eclipse and ABAP for HANA skills. This event was the perfect opportunity for attendees to network with peers in a relaxed and informal setting. These were the topics we covered and answered questions regarding: ADT Eclipse, HANA, Annotations, OData & the latest news from SAP’s famous event TechEd, and much more! 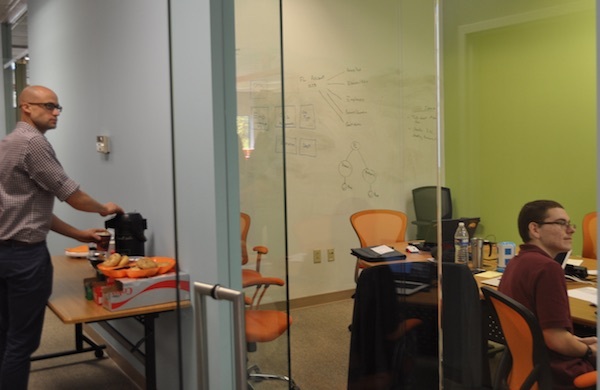 Day 1 of our Malvern PA SAP CodeJam was a huge success! 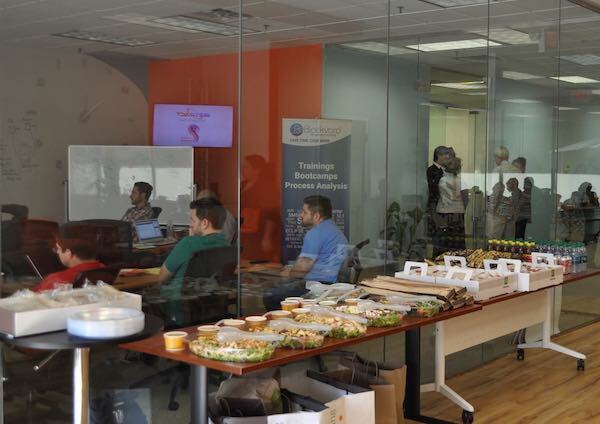 Sneaking in to take a picture while our developers were enjoying lunch! 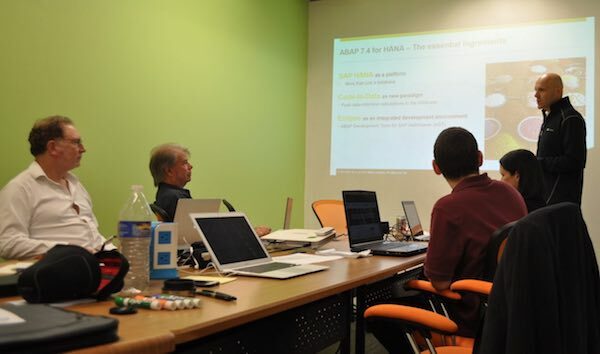 Day 2 of our SAP CodeJam last week in Malvern, PA was all about ABAP for HANA. 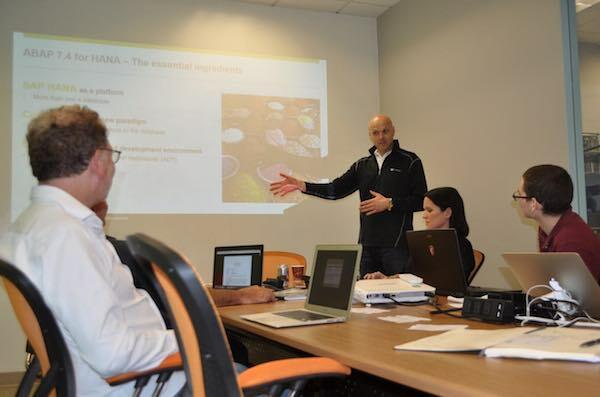 Our developers taking full advantage of world-renowned SAP CodeJam trainer, Ingo Braeuninger. One of our CodeJam attendees sneaking out for a cup of coffee but not missing a thing! A little something delicious for the group to snack on after a fun morning of coding.